Wow! Baby Hazel is ready for another adventure. Today, she is going to her first ballet class with Mom. But first, she needs to take a fun-filled bath. Watch as she discovers new toys and has fun with spelling. Mom also has surprises for her along the way. Would you like to know what they are? 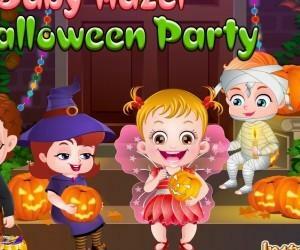 Play this game and have fun! Hazel is in the bathroom with mom, and the bathtub is filled with balloons and toys for her. Be with Hazel as she finds two ballerina dolls in the tub and earns her first present–another ballerina doll. Watch as she finds an interesting new toy — a swimming frog! Finally, she spells out the word BALLERINA, earning a present to open later. Make sure to fill her needs before time runs out! Mom says it is time to take a shower while she gets the ballet costumes ready. Help Hazel as she first gives her new ballerina toy a shower. Then, help her as she washes her hair, face, and tummy. When she’s all done, she, her new doll, and her second present are ready to head for her bedroom. After her bath, it is time to get ready for ballet class. Finally, she opens her gift–a beautiful music box! She even dances to the music for just a moment before setting it down. Help Hazel as she gets her costume on, does her hair and paints her nails, and even dresses her dog, Bruno up in its own ballerina costume! Play this level to learn more about what happens in this level. Finally, it is time to go to ballet class. Watch as three other girls are learning to dance. One by one, each of the girls takes a turn, including best friend Mia. After a juice break, all four girls dance together, led by their teacher. Fill her needs as Hazel catches on to her first lesson. She performs for her class with your help! 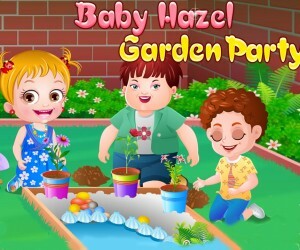 Baby Hazel had a wonderful shower time by playing games and receiving surprise gifts. Mom has enrolled Hazel in a dance class. Hazel is going to be the perfect ballerina dancer! But our dear Hazel is shy at first. She is not feeling ready to dance in front of the other kids. Baby hazel needs your help. Come on, encourage her to dance! Use the mouse to interact with people and objects.